Film Forno » Blog Archive » Ultra Groovy Ultra Rare Screening- Black Moon and Valerie and Her Week Of Wonders! Ultra Groovy Ultra Rare Screening- Black Moon and Valerie and Her Week Of Wonders! Two super cool films will screen in glorious 35mm at the CineFamily this Thursday night. 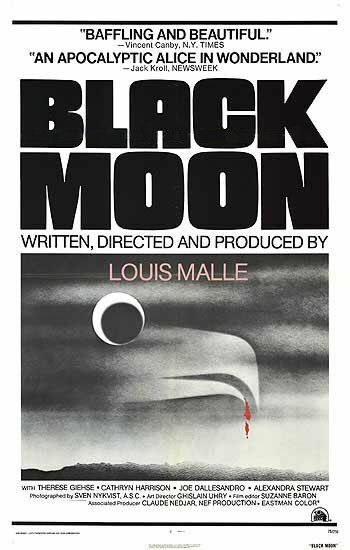 Starting at 8 o’clock Louis Malle’s Fairy Tale for Adults , Black Moon will be projected. This is a unique, disturbing, highly creative film and chances to see it in a theater with other humans are rare as hen’s teeth. The same can be said of Jaromil Jires Valerie And Her Week Of Wonders. This epic of surreal magic unspools at 10. Click HERE for details. I’ll be there how about YOU!